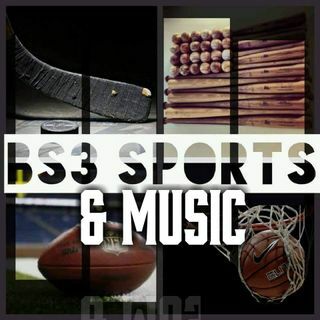 BS3 Sports & Music is a podcast network passionate about sports and quality music. Heard LIVE on X Squad Radio Mondays, Tuesdays, and Fridays at 1PM EST. Then heard on demand here. Weekend Rap Up Ep. 124 - "Hey! It's Tiger, Remember Me." BS3 Sports Show - "#NBAPlayoffs...Now The Real Fun Begins"
Weekend Rap Up Ep. 123 - "#4To1 or #GoHoos?" BS3 Sports Show SE - ". @TheBig3 Making Major Moves"
Weekend Rap Up Ep. 122 - "Can't Believe This #FinalFour"
BS3 Sports Show - "Is Your Bracket Busted Yet?" Sports Talk at it's finest featuring Good Music! THE DOPE MUSIC POD hosted by Ben aka BS3, featuring music by up and coming artists. Recapping the sports news from over the weekend featuring Good Hip Hop!